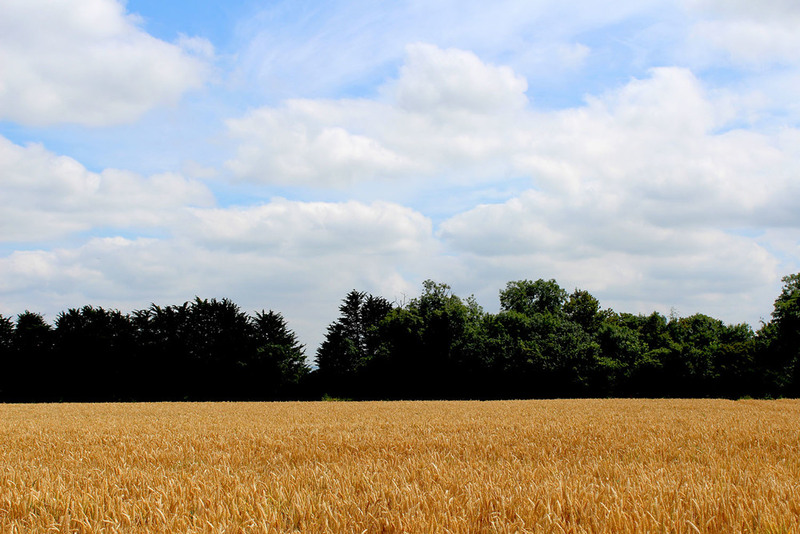 We’re never too far away from the rustle of pigs or the warm buzz of bees. Hares are regularly seen frolicking around the saplings, beehives encourage pollination, and hedges are sympathetically managed to help insects and wildlife thrive. 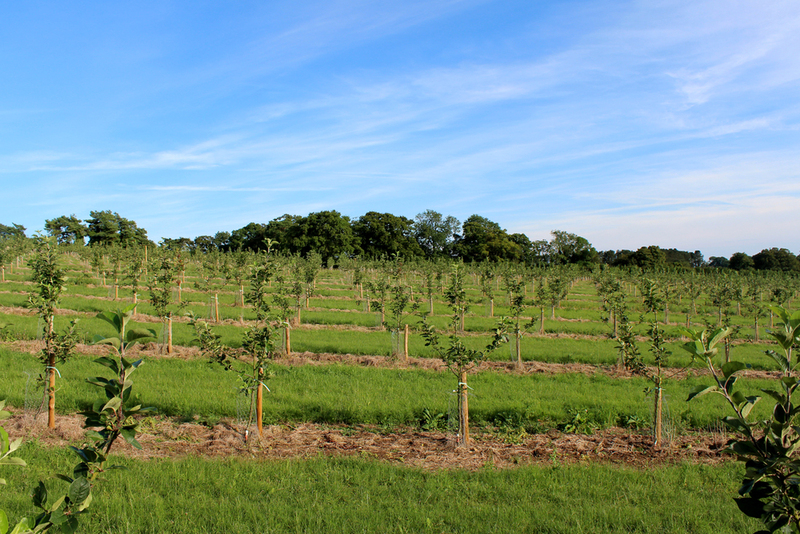 In our orchards, located in Kine Bush Farm in Sandley, we have planted 11,000 cider apple trees during the last three years. 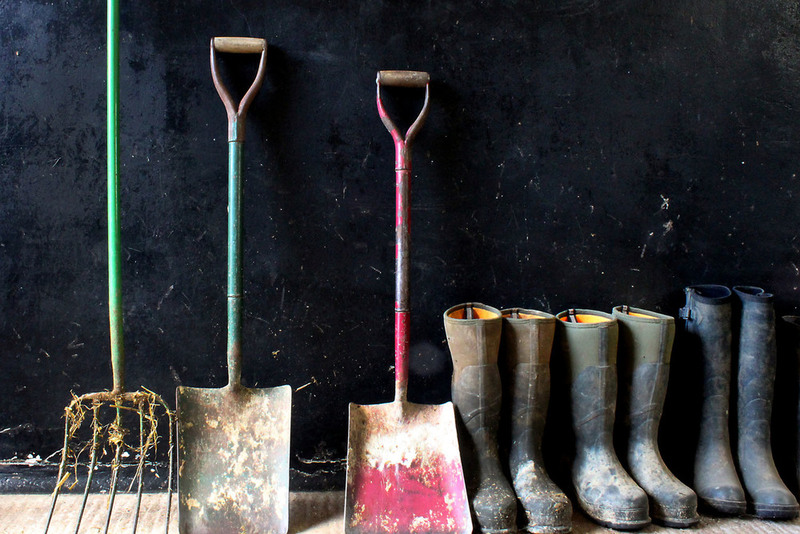 We’re growing a selection of old and new apples, including some very nostalgic varieties such as Morgan Sweet, Tom Putt, Black Dabinett, Tremletts, Browns Apple and Kingston Black. This mix will extend the harvesting season and create some exquisite blended and single variety ciders. 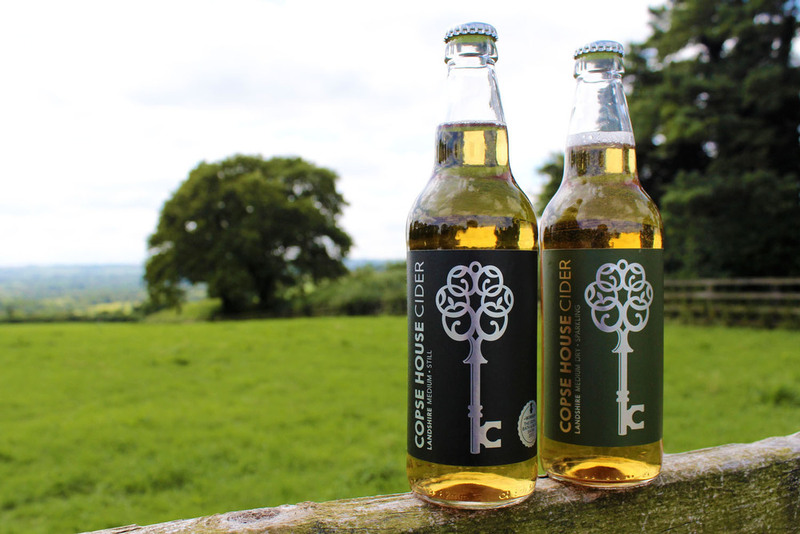 When we hand pressed our first cider in 2012, 1,000 litres of Dorset cider apple juice was fermented. In 2017 we fermented 16,000 litres and, in our eighth year, we will increase our volume significantly to meet popular demand from our Keyholders. Our planting programme also includes perry pear trees, so expect to see a Dorset perry from Copse House Cider in the future. Pomace, the by-product of cider apple pressing, makes a tasty treat for our herd of free-range pigs on the farm.